One Directioners, I think you all need to have a seat before reading any further. Have you sat down? Scratch that, lie down. Go on, get nice and comfortable and perhaps curl up in the position that best captures the feeling of being in a womb. OK, you're ready. After rumors and speculation about One Direction splitting up in the wake of Zayn Malik's exit, Niall Horan is now the first to open up about the matter. 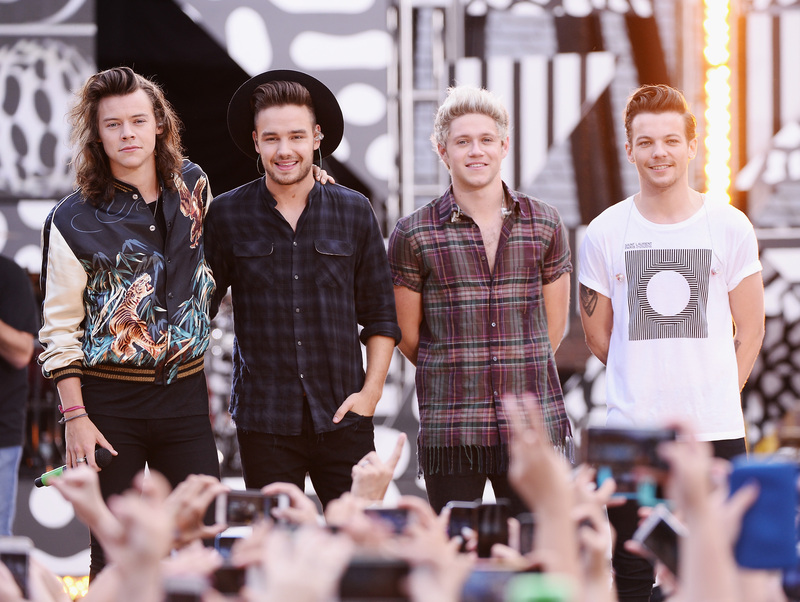 Fans, Stylyesians, Horanites, Tomlinsonians, Paynesies... One Direction are in fact going on a short hiatus in 2016. Now, rest your fluttering hearts, this doesn't mean the band is breaking up, they're merely taking a break to sort themselves out. Horan wrote to his millions of followers, "Ok so lots of rumours going round. We are not splitting up, but we will be taking a well earned break at some point next year." Then following a stream of "MY LIFE IS OVER" tweets from fans, Horan reassured everyone that all is well with 1D, "Don't worry though, we still have lots we want to achieve ! Can't wait for you to hear all the new music we have for you and to perform." Considering the media frenzy over Malik's exit and the quick jump to the studio they took to get ahead of everything, it's no surprise that these lads need a break. It was announced in July that Louis Tomlinson is expecting his first child with his friend and stylist Briana Jungwirth. Tomlinson commented earlier this month on Good Morning America that he looks forward to fatherhood and that this is, "Obviously [a] very exciting time." C'mon now, he deserves a bit of paternity leave. In the Backstreet Boys' documentary Show 'Em What You're Made Of , the band agreed that they churned out Black and Blue right after Millenium in order to keep riding out the wave of their fame. However, the work exhausted them and caused artistic and personal strife between its members. Without the weight of a deadline hanging over them, One Direction could make something together, as a foursome, that's worth the wait. Who has time to meet anyone when you're all over the world singing for millions of screaming fans? With some actual free time Styles could finally (FINALLY!) get around to courting Emma Watson... we can all dream, at least. It's one thing to be a naturally talented singer, it's another to be a professional one. Artists have to take care of their voices. Even the most careful singers can face some seriously scary illnesses or injuries — take Adele and Meghan Trainor, for example. All of the members of One Direction have interests and passions outside of their music including photography, fashion, and football (soccer... ugh, get with it America). By taking time to actually be involved in those pursuits, they won't feel so torn or "weighed down" by the band. Thus, preventing a break up. We all know he's the Justin Timberlake of this band. Just let him shine, SHINE I SAY! As the saying goes, distance makes the hear grow fonder. Perhaps some time apart will allow them all to step back and appreciate what One Direction means for them and for their fans. Plus, they will totally miss each other, so getting back together will be all the more welcome and exciting. Chin up, Directioners. Everything is going to be a-OK. Niall promises!